It’s Hanna’s wild idea, of course: take their mom’s car, pack up the tent, and drive across the country. Just three sisters, one guitar, and the Trans Canada Highway. They can be back in Nova Scotia before their parents are home from Europe. She doesn’t say she wants to forget about what happened in Italy, and at university. Claire doesn’t say she keeps having nightmares about her friend’s recent suicide. Megan doesn’t say much, unless it’s a complaint. But maybe they all feel, somehow, that this is their one chance to do something together, something big, before time begins to scatter them. With empathy and insight, Sylvia Gunnery writes an engaging summer read about three sisters navigating the difficult roads of adolescence, trauma, secrets, shame, and fear for the future. Peopled with chance encounters and warmed with fireside heart-to-hearts, Road Signs that Say West is a compelling ride through real life. 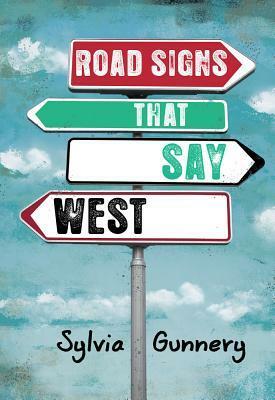 I really love road trip books but Road Signs That Say West just wasn’t for me. I thought it was poorly written and I hated how it jumped from perspective to perspective. I felt like Megan was a pointless character and she was even less developed than the other two girls. I was pretty bored through out the whole book and nothing interesting really happened. I liked the idea of this book but the overall execution wasn’t great.